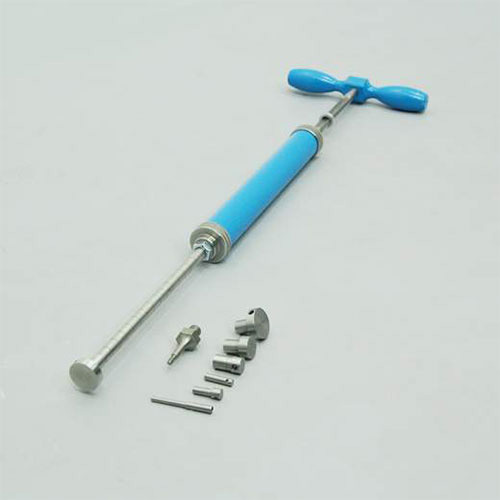 Specification: It is used for finding out the rate of hardening of mortar sieved from concrete spring and a stem graduated from 0-70 kg x 1 kg. Six interchangeable penetration needles of areas 645, 323, 65 32 and 16 mm sq. is provided . The penetration resistance is measured by the force exerted to penetrate the mortar by 25 mm and is indicated by a sliding ring on the stem, which is graduated. Needle shanks are marked at every 12.5 mm. Supplied complete in a wooden carrying case.